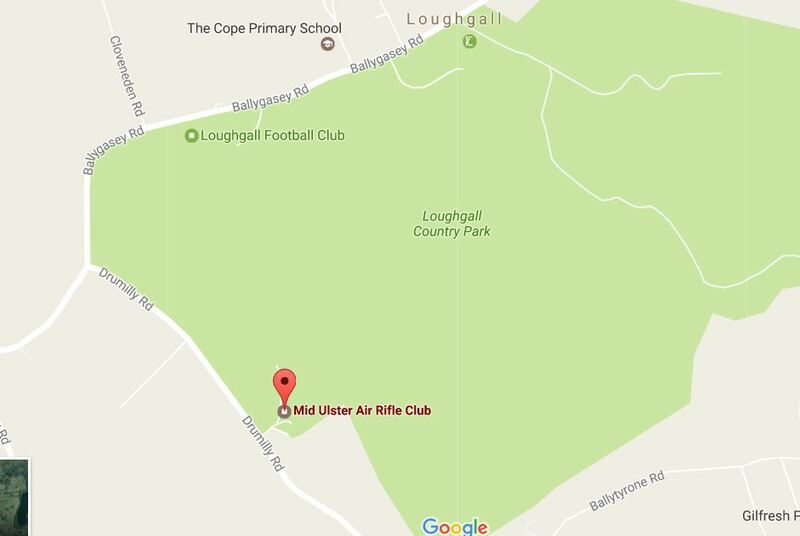 Mid Ulster is situated within Loughgall Country Park and has what the club like to call zones which well describe the contrasting sections of the course. First there is the ridge which always seems to have wind blowing. Next there is the concrete section which is a large expanse of a flat open concrete with 8ft high soil mounds as back stops the openness can make reading the wind tricky as it swirls and eddys. This then brings you to the tree section depending on the time of year it may be very dark or light. Lastly we have the grass section which has its back to the concrete. The four different zones provide a challenge as the wind direction varies within each..